Vuzix Corporation, company that specializes in video eyewear and personal display gadgets for the mobile video and defense has come up with a set of video eyewear that displays video content for educational training purposes. One of the company's latest invention is called 920AR. 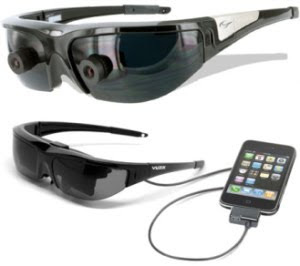 According to Vuzix, its new device is able to overlay the information a person wishes to observe over video content. The new type of eyewear includes different applications about augmented reality on fixed screens. There's a stereo camera mounted on the sunglass. The camera captures video and allows the user to see it on a virtual 67-inch display as seen from 10 feet away. You can watch 2D and 3D video virtually anywhere.